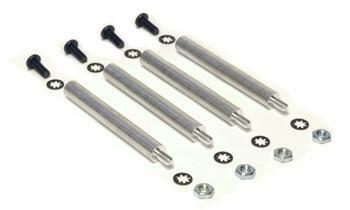 Punchdown panels are an ideal way to terminate your multipin MASS connectors. 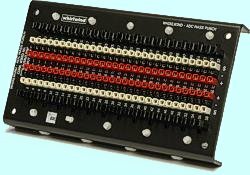 Developed by ADC and Whirlwind, the 58-channel MASS Punch has terminated thousands of MASS connectors with a solid gas-tight connection system that accommodates 22, 24, or 26 ga. solid or stranded wire and permits easy rerouting of wires in the field. ADC's Quick Connect Punchdown (QCP) technology completely eliminates tinning and soldering, resulting in significantly faster setup and maintenance times. We have three members of our punch block family. The 58 channel MASS Punch, the 28-channel Mini Punch and the 16-channel Micro Punch. 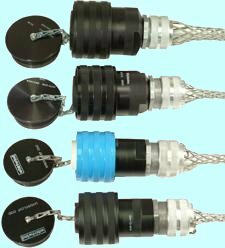 The multiple mounting hole sets permit easy mounting on standard hole centers and included tie wraps can be used to dress incoming wires. All three punchdown panels work with our QB-2 spring-loaded or QB-115 manual punchdown tool. The MASS connector series from Whirlwind provides outstanding multipin connector reliability. The rugged metal shell protects against moisture and physical abuse. The hermaphroditic design eliminates stocking and logistical problems encountered with male/female connector systems by reducing the number of required parts. All MASS connectors include a heavy-duty dust cap. Inlines also include strain relief. 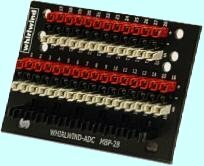 W3 and W4 pinnable MASS connectors are completely compatible with existing fixed-pin solder-type MASS connectors, and use the same inline and panel-mount housings. These new crimp type versions are designed for easy, positive insertion and removal of pins and sockets, using a standard crimp tool and locator insert available from Whirlwind or other suppliers. All MASS connectors are asexual with every connector containing an equal number of pins and sockets . This means that there is only one model of chassis and inline connector for each size without the usual male/female connector designations. However, the male/female connectors are replaced with two differing wiring conventions that must be adhered to in order to obtain the expected results and to ensure compatibility with existing systems. It's really a simple job to get a MASS connector system wired correctly if a few basic conventions are adhered to. 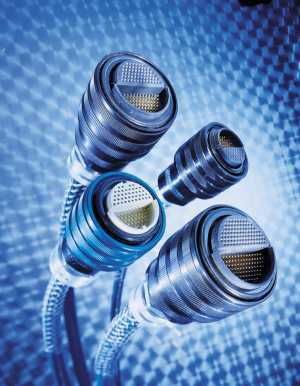 "Wiring MASS Connectors FAQ" . The QB-2 and QB-4 punch down tools ensure "gas tight" termination.